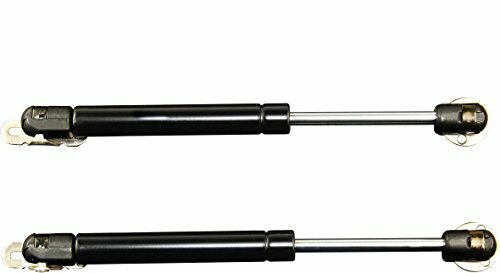 Black Nitride Shaft Gas Springs Plastic Socket Type Of End extended 15 inch Comped 9.5 inch Stroke 5.5 inch Rod diameter 6mmTube diameter 15mm Force(pounds) 40. Ni-Slide Series Attwood gas springs are made with bio-degradable no hazzard to water grade oil (WGK), making them the marine industry's most environmentlly friendly gas springs. All springs pass ASTM B117, Attwood salt spray and a 30,000 cycle lifecycle test. Attwood gas springs come has many configurations to fit your needs including: marine, industrial, agricultural, pharmacuetical, food processing, and medical. 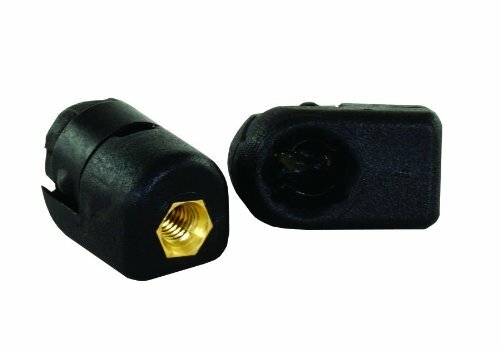 Available in 6mm, 8mm and 10mm configurations between 10 and 100 pound output force. The Ni-Slide series carries Attwood's widest selection of configurations and lengths. 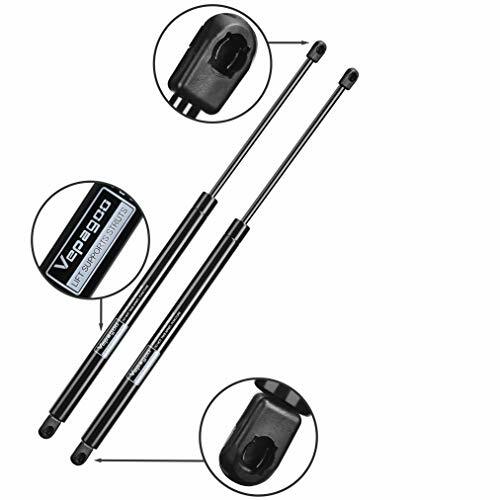 These gas springs are the industry's proven leader in value, quality and durability. 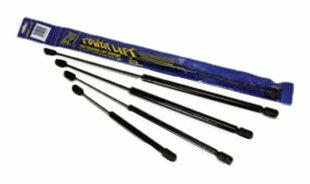 Extended Length: 20"/ Compressed Length: 12" / Stroke: 8"
Black Nitride Shaft Gas Springs Plastic Socket Type Of End extended 20 inch Comped 12 inch Stroke 8 inch Rod diameter 8mmTube diameter 18mm Force(pounds) 120. 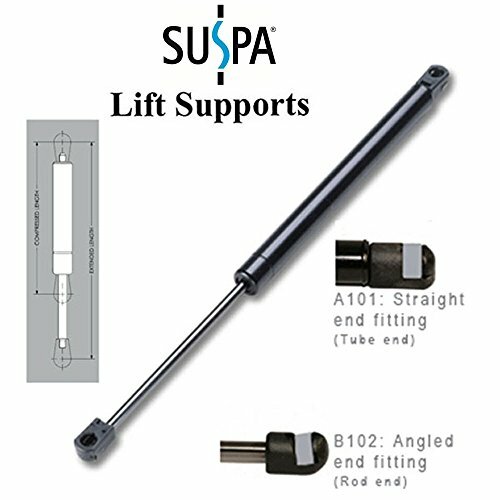 Gas spring mounting brackets and replacement ends spring end fitting with Steel Spring, 2 per package. 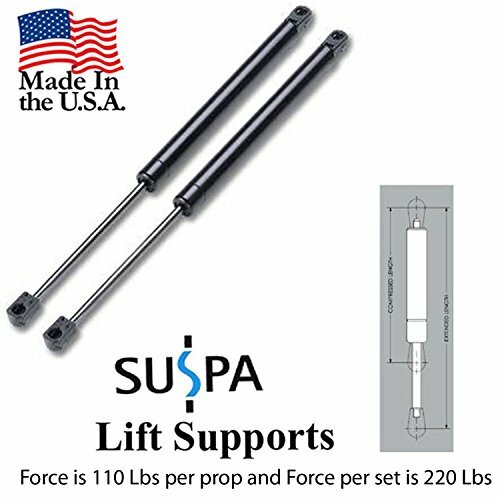 2Pcs Universal Gas Spring Lift Supports Shocks with Force120 Lbs (534N)/per shock; Extended Length: 19.69 inches, Compressed Length: 12.20 inch; End Fittings: 10mm Nylon Ball Sockets; Best replacement parts in Automotive, Truck, Industrial, Marine, ATV Vehicles, Household cabinets, RV Vehicles and many other DIY applications. 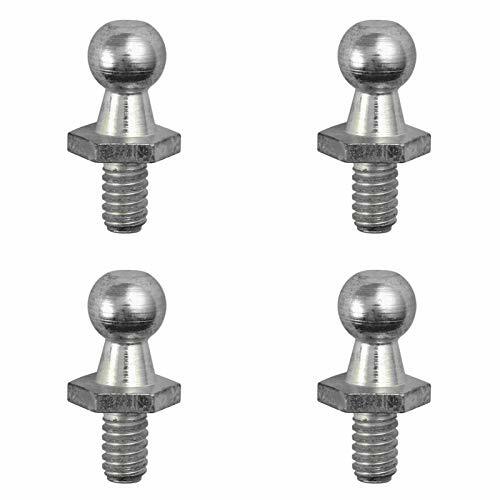 Best replacement parts in Automotive, Truck, Industrial, Marine, ATV Vehicles, Household cabinets, RV Vehicles and many other DIY applications.